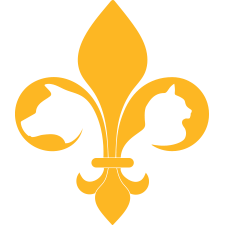 Clearview Veterinary Hospital is the greater New Orleans area’s premier boutique animal hospital for your pets. 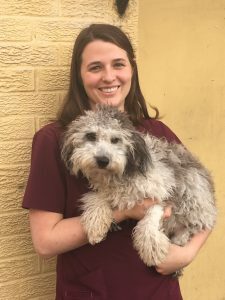 We specialize in one-on-one attention and creating a small, comfortable, and welcoming community of pets and owners who come back to us time and time again. So, if you are looking for personalized attention, we’re the perfect fit! Our hospital is dedicated to providing your pets with comprehensive medical and surgical care. Preventive health care includes periodic physical examinations, pet vaccinations, dental care, wellness screening, prevention and treatment of heartworms, intestinal worms, and external parasites. We also provide nutritional and behavioral counseling. Surgeries performed here are done with the most up to date anesthesia and monitoring equipment available. We work closely with several specialists in the area, including veterinarians who specialize in internal medicine, oncology, dermatology, and general pet surgery. Our modern, in-hospital laboratory provides results for complete blood counts, serum chemistries, electrolytes, and thyroid screenings in less than one hour. Pre-anesthetic blood testing is recommended for all pets having surgery. Our extensive laboratory can provide us with vital information on your pet within minutes so that treatment can begin without delay. We perform in-hospital tests for Feline Leukemia Virus, Feline Immunodeficiency Virus, heartworm antigen, Parvovirus, and intestinal parasites. Other diagnostic services available include urinalysis, biopsies, bacterial and fungal cultures, radiographs (x-rays), electrocardiograms, abdominal ultrasounds, echocardiograms, and laser therapy. If your pet needs to stay overnight with us during an illness or after a surgery, they will be examined by a veterinarian at least twice per day (more frequently if the condition warrants it) while veterinary assistants will monitor your pet’s condition throughout the day. Food will be supplied by us unless you indicate otherwise. 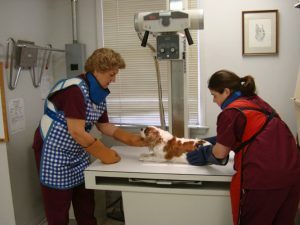 When your pet is ready to be discharged, the doctor will explain any medication and after-care instructions to you while giving you the opportunity to ask any questions that you might have about your cat or dog’s surgery or care. You are encouraged to call to check on your pet’s progress during regular office hours. We know how scary it can be to not have your pet at home with you, so we’re here to keep you up to date on how they’re doing. If you have an emergency after regular animal hospital hours, please call Medvet at (504) 835-8508. We maintain a clean, comfortable and well-equipped pet care facility in a safe and convenient location in the heart of Metairie. Clearview Animal Hospital is here to help your pets however we can, so call us for an appointment today.